THC: This compound in marijuana is good for the relief from pain, while simultaneously reducing nausea and vomiting. It also stimulates the appetite and can suppress muscle spasms. THC is the active ingredient in marijuana that makes you get stoned. CBD: Get ready to read because the list of what CBD helps with is a long one! Starting at being a pain reliever, CBD will also help with killing the growth of harmful bacteria, reducing the levels of blood sugar, reducing nausea, relieving seizures and convulsions, reduces inflammation in joints and muscles, reduces the risk of artery blockage, inhibits the growth of cancer cells, treats psoriasis, manages psychosis, suppresses muscle spasms, relieves anxiety, promotes bone growth, reduces function in the immune system, reduces any contractions in the small intestine, and also protects to neurological system from any outside threat. Needless to say, CBD is a total asset the human body and should be utilized in order to better human life. CBG: Cannabigerol is found in plants most commonly grown for hemp, rather than the desired stoned effect from plants high in THC. This substance helps to kill growing bacteria, reduce inflammation, prevent growth of tumors, kill cancer cells, and promote bone growth. CBN: Cannabinol is the substance in marijuana that makes you tired. So if you have problems sleeping, this is what you should be trying to track down. The CBN in cannabis is a pain reliever, it aids in sleeping, and suppresses muscle spasms. Basically making it easy for you to all asleep and stay that way until the morning arrives. CBC: Another not-so-known substance contained in our favorite plant, CBC (or cannabichromene) is responsible for a few things as well. The benefits of CBN are as follows with relieving pain, anti-inflammatory properties, inhibits cancer and tumor growth, and promotes healthy bone growth. These are just a few of the important pieces of the cannabis plant. With over 60 cannabinoids found in the magical weed, I can’t go through and list them all but these are some of the important ones. Of course, they’re all important. 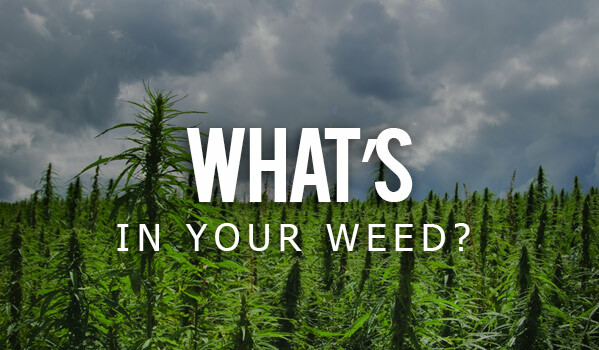 You should be aware of all of these compounds, as every single one contributes to the plant that we love so much. Knowing these things will also help you to convince non-smokers that the plant isn’t nearly as bad as everyone has been led to believe. This entry was posted in Stoner Blog, Stoner Guide and tagged guide, stoner, weed.